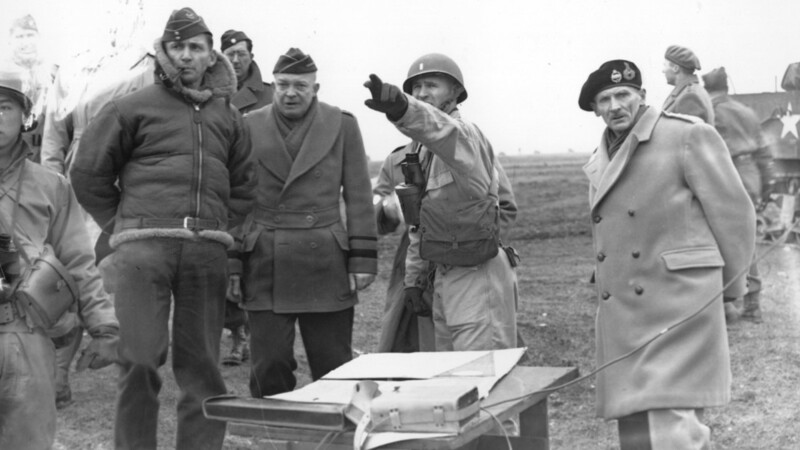 Before the invasion, the Allied commander was at odds with air force officers and Churchill over a controversial plan. 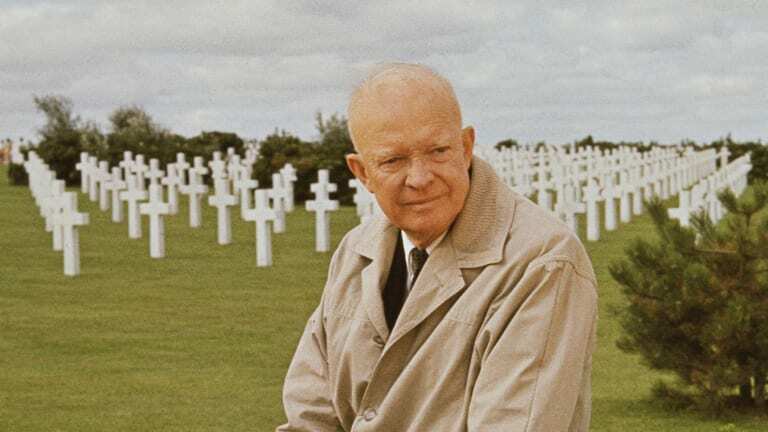 As the Supreme Commander of Allied forces in Europe and leader of the D-Day invasion, Gen. Dwight D. Eisenhower became legendary for his ability to get officers and armies from different nations to work together to defeat Nazi Germany. But if needed, he was also willing to take a more confrontational approach. In fact, just a few months before the critical D-Day invasion, Eisenhower threatened to quit his command and go back to the United States. Eisenhower had been in heated talks with British Prime Minister Winston Churchill over a controversial plan to bomb the French railway and road system ahead of the Normandy invasion. The so-called Transportation Plan, largely devised by British zoologist-turned-military strategist named Solly Zuckerman with the help of British Air Marshal Arthur Tedder, called for diverting Allied strategic bombers that had been hammering German industrial plants. 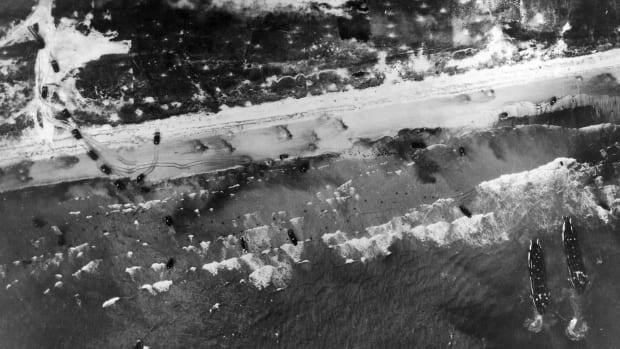 Instead, Eisenhower wanted them to temporarily shift to a new mission—crippling the transportation infrastructure that the Germans might use to move troops and equipment to the coastal region, thus hindering them from rushing to counter the Allied invasion force. “Eisenhower wanted to use our heavy strategic bombers, the big four-engine planes that were built to destroy German cities and the economy, and send them to wreck the French roads and railway system,” explains Robert Citino, executive director of the Institute for the Study of War and Democracy and senior historian at the National World War II Museum in New Orleans. For Eisenhower, the switch in bombing seemed like a no-brainer. 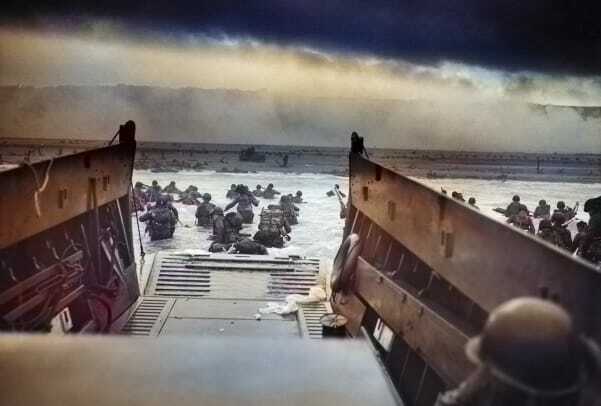 He knew that landing a massive invasion force and overcoming the elaborate layers of defenses that the Germans had built along the coast would be an incredibly difficult task, and the consequences of a failure would be catastrophic. 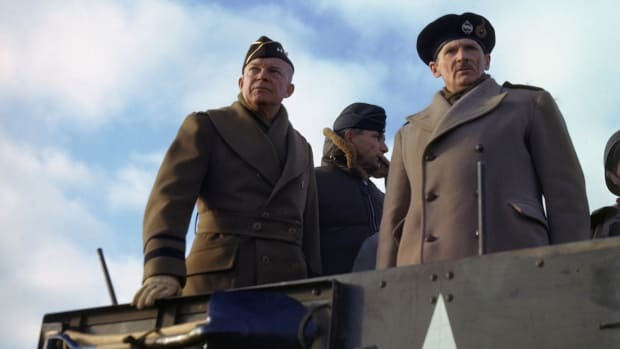 Allied Chiefs Air Marshal Arthur Tedder, General Dwight D Eisenhower, and Field Marshall Bernard L. Montgomery, watch tank maneuvers on February 25, 1944 in preparation for the D-Day landings. But Arthur “Bomber” Harris, head of the Royal Air Force’s strategic bomber command, and his American counterpart, Gen. Carl “Tooey” Spaatz, didn’t see it that way. They weren’t under Eisenhower’s command, and their crews were accustomed to attacking massive industrial plants and German cities, not railroad switches and stations scattered across the countryside. To them, it seemed like a waste of resources, a diversion from their real mission. “That was probably Eisenhower’s biggest frustration—his lack of control over the air forces, and their unwillingness to listen to him and desire to go their own way,” D’Este says. To make matters even worse for Eisenhower, the Transportation Plan had another, even more powerful opponent—Prime Minister Winston Churchill, who already was feeling uneasy about the invasion, since the depleted British army—"they were running on fumes,” D’Este explains—couldn’t afford another punishing setback. Added to that was another dilemma. Eisenhower wanted to drop bombs on France, an Allied country that the British and Americans were supposed to be liberating, and in addition to destroying the railroads, the raids ran the risk of inflicting casualties among the French civilian population. 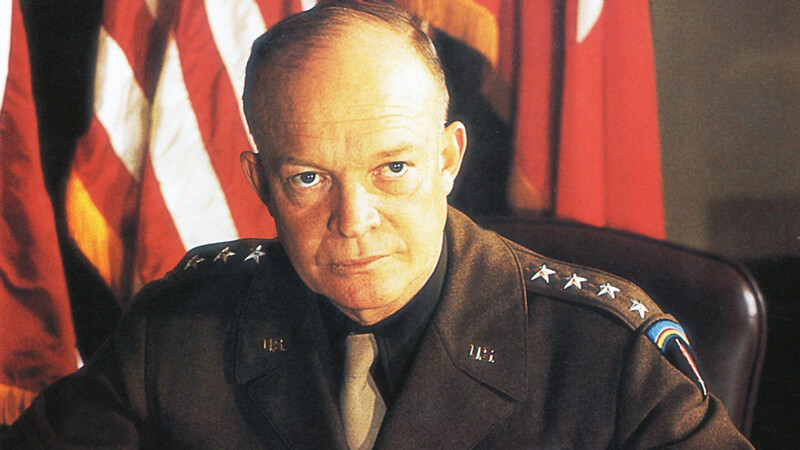 Eisenhower told his opponents that their Oil Plan, as they called it, wouldn’t do him much good. 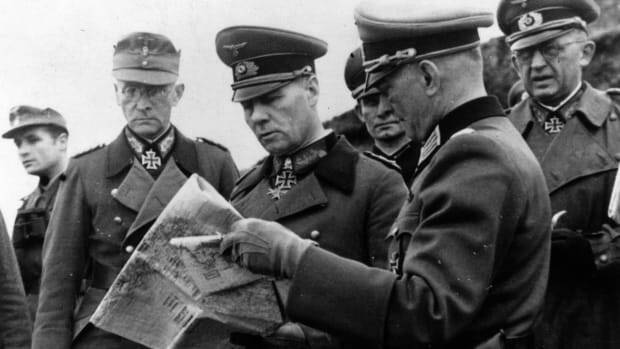 As historian Stephen E. Ambrose has written, Eisenhower argued that the Germans had hidden oil and gasoline in camouflaged depots across France, so knocking out their plants in Germany wouldn’t help the invasion that much. Apparently, the threat worked. The prime minister did express his misgivings in a subsequent meeting with the British War Cabinet, where according to Ambrose, he warned that Eisenhower’s plan “will smear the good name of Royal Air Forces across the world.” But eventually, he too decided to sign off on the Transportation Plan, though he tried to diffuse the responsibility by putting the question to President Franklin Roosevelt for final approval. 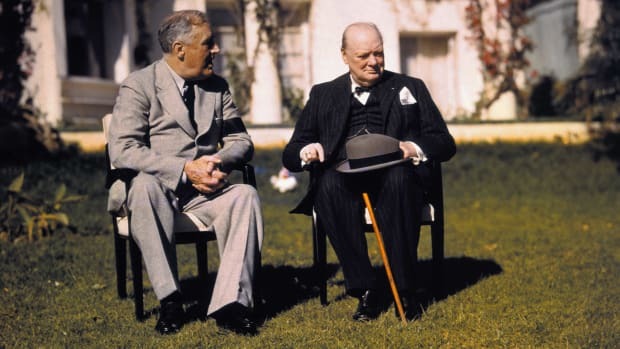 FDR told Churchill that military considerations trumped the humanitarian question, and that the bombing should proceed. 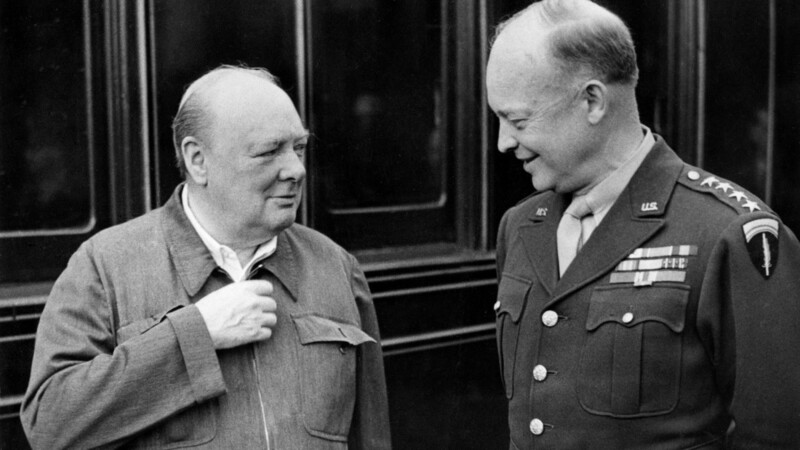 Even so, according to D’Este, Eisenhower deftly avoided backing Churchill into a corner, by directly giving him an ultimatum that would have threatened him with loss of face. Instead, he made the actual threat to others, whom he knew would report back to the prime minister that Ike was at the end of his patience. “I don’t think it would have been hard for Eisenhower’s feelings to get back to Churchill.” D’Este says. General Dwight D. Eisenhower, wearing the Supreme Headquarters Allied Expeditionary Force patch on his left shoulder. Tedder, who had taken the risk of siding with Eisenhower—“he thought Churchill was going to sack him,” D’Este notes—undoubtedly breathed a sigh of relief, before carrying out Eisenhower’s plan. By D-Day, the Allies had dropped 76,000 tons of bombs—which Ambrose calculated was about seven times the explosive power of the Hiroshima A-bomb—on French railways. 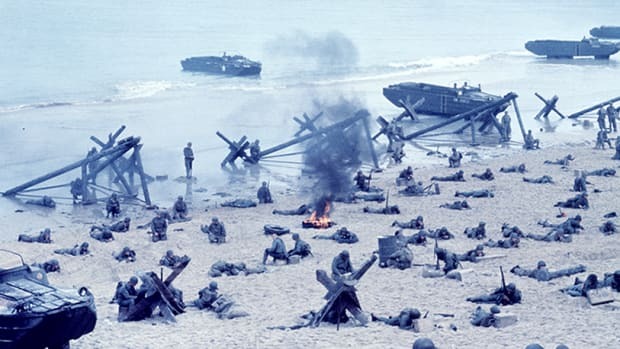 In the end, the way Eisenhower threatened to quit only showed the depth of his dedication to making D-Day a successful operation and defeating the Nazis. It also demonstrated the deft political skill that eventually would help him to reach the White House.